Digital platforms are rapidly transforming the way we work and generate income, create and share value, and sustain ourselves in post-welfare societies. By merging functions traditionally associated with either market or state actors, such as the orchestration of basic services like temporary housing or transportation, they act as new institutional forms that help to redraw the social contract governing relations between civil society, the market, and the state in the 21st century. As scholars and pundits attempt to come to grips with these major transformations, some have heralded the positive contributions of platforms that coordinate and leverage people’s “collaborative consumption” of goods and services in a way that privileges access over ownership. The business studies literature, for instance, has praised the nascent “sharing” or “platform” economy for stimulating innovation and economic growth by giving birth to a “crowd-based” version of capitalism in which platform “ecosystems” allow all participants to generate value by bypassing institutional market barriers and lowering transaction costs. In contrast, labor and legal scholars have addressed the plight of workers in what they prefer to term the “on-demand” or “gig” economy, which thrives on independent contractors who are responsible for arranging their social safety net. According to a number of critics, platforms like Uber and TaskRabbit treat their contingent workforce as a hyperflexible commodity, exacerbating persistent income inequality and worker precarity. At the same time, scholars, activists, developers, and labor organizers have suggested that we should shift our critical focus from corporate models of platform-mediated value capture to the cultivation of grassroots, community-based initiatives that mobilize platforms for more egalitarian and equitable modes of value creation and distribution. These voices have recently converged in a global chorus that aims to spread the gospel of “platform cooperativism”, a nascent movement propelled by the desire for a collectively owned and democratically governed internet as a means to achieve social justice. Two books, released almost simultaneously near the end of 2016, articulate this desire for radical change and both contain passionate arguments and proposals for a better future of work. 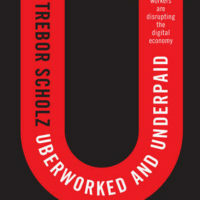 The first, Trebor Scholz’s Uberworked and Underpaid: How Workers Are Disrupting the Digital Economy (Polity 2016), offers a critical survey of the rise of digital labor as both an outcome and a driver of ongoing labor market restructuring, which has heralded new forms of value extraction and the end of employment as some once knew it. But aside from presenting a critique of “platform capitalism”, the monograph also proposes a framework, or a roadmap, for building alternative infrastructures that resist – or at least attempt to bypass – the extractive business models currently dominating our digital economy. Having coined and conceptualized the term platform cooperativism in earlier publications, Scholz here provides a more elaborate reflection on this agenda-setting notion which has magnetized a budding collective of people and organizations fed up with the socio-economic status quo. This collective first assembled in November 2015, during the “Platform Cooperativism: The Internet, Ownership, Democracy” event in NYC, organized by Scholz and journalist Nathan Schneider. Having drawn the interest of a 1000+ attendees and the mainstream media, presenters shared their visions of what platform cooperativism could/should be about and how it may be realized and consolidated. A number of these presentations formed the groundwork of the second book considered here, co-edited by Scholz and Schneider: Ours to Hack and to Own: The Rise of Platform Cooperativism, a New Vision for the Future of Work and a Fairer Internet (OR Books 2016). This rich volume collects forty contributors with a variety of different backgrounds and showcases a diverse set of businesses and projects that either enact the platform coop model or support its materialization. Indeed, one of the main points hammered home throughout both books is how actually existing platform coops crucially depend on a nurturing “ecosystem” of institutions and services that offer resources ranging from financing tools and open source software to incentivizing policy measures. As I will discuss below, however, the composition of such an ecosystem and the level of autonomy platform coops should have within it remain two significant points of contention among those committed to creating a sustainable alternative to platform capitalism. While many scholarly works feature excellent critical analyses of a particular problem while eventually falling short when it comes to offering concrete solutions, Scholz’s Uberworked and Underpaid offers a book-length manifesto providing readers with what he calls “actionable advice” that is incisive and extremely pertinent despite being derived from a frequently scattershot analysis. Perhaps the book’s most prominent yet easily excusable problem is the oversized scope and ambition of its first part, comprising chapters one through four. Here Scholz advances a typology and a vocabulary for the study of digital labor as well as introducing his concept of “crowd fleecing”, which is intended to “describe a discontinuity between traditional and contemporary forms of exploitation” (p. 7). The expansive digital labor typology presented in the first two chapters covers a lot of ground and includes both paid and unpaid forms of digital work – a decision that indicates the book’s roots in the Digital Labor conferences organized by Scholz in 2009 and 2014, each of which highlighted one category. Yet what the typology, like the “crowd fleecing” concept, gains in comprehensiveness it loses with respect to its ability to scaffold a coherent political critique of digital labor: what forms of solidarity can be forged between Facebook users, game modders, Uber drivers, and freelance web designers when the latter two groups already tend to share very little in terms of their daily work experience and socio-economic positionality? And to what extent are the value-generating activities of these groups subjected to the same, or similar, forms of extractive and disciplinary operations? These fundamental questions are never substantially addressed, as Scholz’s panoramic approach to platform capitalism weaves together a story about the variegated yet altogether exploitative nature of digital labor in a way that sidesteps a more in-depth and nuanced analysis of the important issues he aims to tackle. That this approach comes with some problematic conflations and polarizations becomes apparent in chapter one, which discusses multiple forms of paid digital labor that have helped to facilitate a shift toward non-standard, often precarious work arrangements and a concomitant decline in salaried employment. While the survey presented here usefully – if unevenly – attends to the diversity of digital labor practices and environments, particularly with respect to online crowdwork and on-demand services delivered in physical settings, it also paradoxically lumps together different platforms under these two categories, whose business models and “templates of work” are primarily identified with Amazon Mechanical Turk (AMT) and Uber/TaskRabbit. For example, little effort is made to distinguish online labor markets like Upwork from AMT in terms of worker experiences, required skills and educational level, motivations, earnings, or modes of contracting (p. 40-41). Likewise, digital marketplaces like Etsy and Shapeways are oddly associated with Uber’s on-demand model, which together with AMT embodies an “extractive sharing economy” that is then positioned over and against a “genuine” sharing economy based on the cooperative model (p. 42-45). Aside from eliding important differences between these platforms and the economic activities they orchestrate, such indiscriminate moves also leave beyond consideration a whole range of platform businesses that fall somewhere in between these polar opposites. 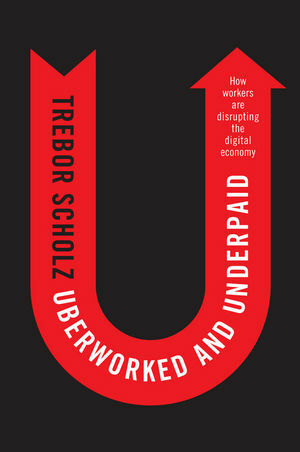 Where chapter one ends with a plea for “decent digital work” that is protected by law, includes social benefits – or at least ensures “employee-like rights for all” (p. 54) – and earns both dignity and a living wage, chapter two takes a different direction by extending Scholz’s typology of digital labor with a discussion of various forms of unremunerated work. What follows is another sprawling survey that covers everything from “data labor” on social media to the “hope labor” of freelance writers and interns, and while Scholz touches on numerous critical issues with respect to the exploitation of online productive activities and the blurring of labor and leisure, doing so may in fact hinder the development of a coherent political critique of digital labor by conflating the struggles of “uberworked and underpaid” gig workers – which take place within a context of labor market reform, precarization, and a contested future of work – with struggles to redefine what constitutes labor in the digital economy. Despite the fact that both struggles respond to the increasingly complex and roving regime of accumulation that drives platform capitalism and are in that sense correlated, the objective of the former is to circumscribe and organize labor in order to protect the status of employment as well as the livelihoods of workers (e.g. through legislation), whereas the latter expands the parameters of labor to such a degree that its organization along lines of worker solidarity becomes extremely difficult. Indeed, the “dotted line” Scholz has drawn around the concept of digital labor creates a space so expansive that it actually undermines his commendable project to counter “a surrender of the language of labor”, as he describes it in chapter three. As he writes: “Not talking of labor is likely to depoliticize the discussion by disconnecting it from traditional labor practices and the accomplishments, sacrifices, and lessons from organized labor” (p. 106). But how does this history speak to the experience of Facebook users or Star Wars fans sharing their contributions online? Sure, like (under)paid crowdworkers these heterogeneous groups are all subjected to “crowd fleecing”, which Scholz in chapter four defines as the “real-time exploitation of millions of workers and netizens by a small number of companies online” (p. 109), but does this blanket term sufficiently account for the diverging business models and techniques of exploitative value capture it attempts to contain? And, most importantly here, can it spark the collective imagination enough to mobilize these workers and netizens against the common enemy of platform capitalism? What investments and sacrifices will have to be made and who will be prepared to make them? At the end of part one, Scholz closes with a crucial observation that seems to run counter to his totalizing effort: “Each form of digital work carries a different degree of violence, its own level of expropriation and cruelty; and it opens up new avenues for solidarity” (p. 122). The most important new avenue for solidarity developed in this book is platform cooperativism. After having addressed the inadequacies of existing labor laws and making a case for a bill of rights for all platform workers in chapter five, and having considered various modes of tactical refusal, withdrawal, and “selective engagement” as antagonistic responses to platform capitalism in chapter six, Scholz dedicates most of his final chapter to an extended meditation on the opportunities and challenges of platform cooperativism. Here it becomes apparent that this notion, as he imagines it, is ultimately less about providing a comprehensive alternative to the monetization of user data on social media than about empowering workers by creating fair and democratically governed infrastructures for paid platform labor – and for collaborative value creation more generally. In Scholz’s vision, platform cooperativism embodies a different future of work and emerges alongside various new activist initiatives and worker associations, such as inventive unions and guilds, all of which constitute the foundations of a new “solidarity economy”. What platform cooperativism adds to this economy is the combination of an organizational structure with a storied tradition (the cooperative model) and a relatively novel computational architecture that doubles as a business model (the platform), which together promise to transform how value is produced and distributed in the digital economy. Collective ownership of the means of production is a central tenet of the movement that has materialized around the concept, as is the operational autonomy that comes with it. However, as I will argue below, it is this idealization of autonomy in some segments of this emerging and variegated movement that presents platform cooperativism with one of its biggest challenges with respect to its ability to offer a sustainable alternative to platform capitalism. Just as there are various types of cooperatives in terms of economic activity and governing structure (e.g. those governed by consumers, producers, workers, or a combination of different stakeholder groups in a multi-stakeholder cooperative) there are also different kinds of platform coops. Scholz advances a provisional typology that includes a number of actually existing platforms, most of which return in the more expansive “showcase” sections of Ours to Hack and to Own, but also discusses some initiatives and formats that haven’t yet surpassed the speculative phase. While Loconomics (a San Francisco-based cooperatively owned app for booking local services delivered by freelancers), Fairmondo (a Berlin-based cooperatively owned online marketplace for goods), Coopify (a NYC-based app that connects low-income worker coops to clients needing home services, currently in beta phase as “Up & Go”), and Resonate (a Berlin-based cooperatively owned streaming music service) all demonstrate that platform cooperativism is much more than a worthy idea, the hopeful yet tentative visions of city- and union-backed platforms – and of decentralized p2p coops – suggest that there is still enormous potential for growth and development. Yet how will the movement progress beyond the salutation of its small batch of “flagship” platforms/apps in order to meet its grand ambitions? Progress is certainly happening everywhere, but to what extent can the movement’s members and supporters agree on the shape, scope, and prioritization of these ambitions? For instance, is platform cooperativism about the platformization of existing coops, augmenting and (re)organizing its daily operations (see Coopify/Up & Go), or is it rather about the “cooperatization” of digital platforms, which collectivizes their ownership and governance model (see Fairmondo and Resonate)? Likewise, should platform cooperativism focus on improving existing labor processes, relations, and conditions by implementing digital tools and infrastructures, or is it more important to dedicate resources to the development of new modes of decentralized value creation and distribution – for instance in the form of cryptocurrencies or digital credit systems? The answer to these questions may very well be “both”, as these choices are not mutually exclusive and the movement has been heterogeneous from the start, but I believe such questions are nevertheless worth asking because they point to the kind of future platform cooperativism intends to strive for and who will be included in its struggles. Rather than reflecting on each of these principles individually, I want to turn to Ours to Hack and to Own in order to examine to what extent platform cooperativism will be able to follow up on Scholz’s aspirations. This is because commons-based peer production, to quote Benkler once more, “has thrived on pooling voluntary contributions of participants who had other means of making a living” (ibid.). His comments point to the class privileges subtending ambitions that model the future of platform cooperativism on commons-based digital networks supporting peer value creation, such as those articulated in contributions by David Bollier, Michel Bauwens and Vasilis Kostakis, and Mayo Fuster Morell. Despite the “enormous value” that could be “unleashed” by “distributed, autonomous production” (Bollier, p. 71), we should take to heart the outcomes of Juliet Schor’s research, which shows that the sites of such production are rife with gender, race, and class inequalities. As she notes in her incisive contribution, participants in these sites tend to be predominantly white and highly educated, suggesting how “open” networks of collaboration and co-creation (of knowledge, software, data, or physical goods) cannot avoid their own, often disavowed, exclusions: who has access to these networks? ; who is encouraged and enabled to participate in – and reap the benefits of – the commons? ; who is invited to join a project and whose collaboration remains a yet-to-be-realized projection? Moreover, such networks generally adhere to an order of worth that holds the figure of the independent “creator/producer” in much higher regard than that of the worker who depends on markets for reproductive/maintenance labor. Again, this raises questions about who is included in platform cooperativism’s struggle for a more equitable future and what this future will look like in practice. Whether platform cooperativism can meet its ample ambitions will ultimately depend on how well it navigates three vital “problem spaces”: (1) self-government; (2); financing/resource acquisition; and (3) market competition/value proposition. With respect to self-government and its organizational structure, several contributors link the transformative power of cooperative businesses to collective ownership and democratic decision-making. This demands an entirely different approach to running a business, as the primary goal becomes to benefit its community of member-owners instead of just its executives and shareholders. As Janelle Orsi argues, cooperatives are not a “plugin” but a “completely different operating system” (p. 96). Crucially, what cooperatives share with digital platforms – that other operating system – is that their value/success depends on their user base and the value it generates. But where corporate platforms thrive on extraction, coops prosper through the equitable (re)distribution of both value and voice. Aside from the basic question of how to get a diverse platform-mediated workforce with varying motivations as well as levels of dedication and productivity committed to the project of cooperativism, which requires extra time and effort, the inclusion of other classes of co-owners according to the multi-stakeholder model adds additional pressure on the governability of platform coops. Multi-stakeholder coops only succeed when their inherent conflicts of interests are ultimately reconcilable (i.e. when stakeholders share enough in common to create a sense of solidarity), which will become more difficult as (1) the number of member-owners rises, (2) they are geographically dispersed, and (3) there are stark divisions along intersecting lines of class, race, and gender. Now of course these are some of the basic problems facing any large-scale democratic institution, but that is exactly my point. As Melissa Hoover writes in her important contribution, (platform) coops “sit squarely at the intersection of values and markets, organizing and business, community institution and economic engine” (p.108). As such, and if it is to live up to its promise, platform cooperativism will have to promote the creation of scalable and frictionless commercial user experiences while navigating (instead of erasing) the frictions inherent to its democratic ownership model. This is surely a tall order, and there will be temptations to automate and expedite the process of collective decision-making through distributed technologies such as the blockchain, whose popularity coincides with the waning trust in public institutions. Yet while blockchain technologies could certainly assist platform coops in numerous daily activities that would benefit from a distributed ledger which publicly stores all kinds of contractual agreements, it is critical to underscore that these are essentially accounting technologies of formalization and trust-substitution that operate on the basis of consensus and thus cannot solve the political problem of attempting to establish consensus from a scene of dissensus. This is why I so thoroughly appreciated Rachel O’Dwyer’s contribution, where she notes that “[l]ike a lot of peer-to-peer networks, blockchain applications conflate a technical architecture with a social or political mode of organization” (p. 231). Platform cooperativism should stay clear of these techno-solutionist imaginaries, which substitute smooth technocratic governance for the much messier reality of democratic self-government. Whereas the first “problem space” pointed to struggles inherent to democratic decision-making, the latter two return us to the role of ecosystems in the sustenance and survival of the movement, or what I would like to call the question of platform cooperativism’s outside. There is a fundamental (albeit frequently implicit) tension between the drive for “distributed, autonomous production”, shared by a segment of the movement’s main protagonists and supporters, and the dependence on “external” institutions and resources. In this sense, autonomy can itself be understood as a form of enclosure: the enactment of a negative freedom from outside interference. What lies outside, in this view, is a system of failing state and market institutions that can no longer be expected to properly represent us or meet our needs. While there is certainly a lot of truth in this outlook, its corollary is more problematic: “we the people” can solve our own problems and reconfigure both production and social reproduction, if only we have the right tools – be it open source software or blockchain technology. But if we revisit Scholz’s ten principles for platform cooperativism it quickly becomes clear that there are limits to what collectively owned and self-governed infrastructures can accomplish by themselves, especially with respect to the issues of financing/resource acquisition and market competition/value proposition. To start with the former, Ours to Hack and to Own showcases twelve projects that offer resources ranging from tools for collaborative decision-making and investment-pooling to startup funds and an alternative banking system. Although some have already demonstrated their viability or even success and others look very promising, I couldn’t help wondering whether these modest grassroots resources will be able to provide the kind of infrastructure and capital required for platform cooperativism to expand and flourish in an environment dominated by platform capitalism. This is also the feeling I had when reading the contributions on crowdfunding becoming “stewardship” (Spitzberg) and on building networks for “cooperative finance” (Martin, Rojas). While these initiatives do have the capacity to cultivate sustainable platform coop ecosystems on a small scale, they remain limited by the capital available within these relatively marginal networks – when compared to the networks of venture capital. Moreover, the success of particular funding structures like cooperative finance depend on protective and incentivizing legal frameworks, which is why it is necessary for platform cooperativism to expand its ecosystemic strategizing beyond the parameters of crowd-sourced capital and open source tools. A number of contributors have already taken up this task, proposing more generative connections between platform coops and institutions whose material and immaterial resources could allow these coops to achieve success at a scale where they can compete with corporate platforms. Whether through new associations between cooperativism and unionism (Criscitiello, Peck), experimentation with supportive legal frameworks (Cherry), or the “re-municipalization” of platforms as public utilities (Bria), forging such new alliances is imperative because, as John Duda argues, “insisting on autonomy from government intervention and support means that the policies behind traditional economic development will continue to grind away, subsidizing corporations and leaving cooperatives to fend for themselves” (p. 185). To reiterate Hoover’s observation, cooperatives (platform-mediated or not) are at once a social movement and a market intervention, which makes complete operational autonomy impossible. As businesses, coops need to compete on (labor) markets that open them up to a host of legal, economic, and administrative procedures and its attendant responsibilities. Ultimately, if platform coops are to have any success at all they will need a solid value proposition for its entire ecosystem, including non-member stakeholders such as regulatory entities and consumers of whatever product or service is marketed. Regardless of how a platform coop is governed and funded, and irrespective of its supporting institutional alliances, it is these consumers who will have to be convinced to leave their corporate service behind and adopt a new platform. Interestingly, however, the importance of having a convincing value proposition is hardly addressed in the collection. As Sundararajan (drawing on Schor’s research) suggests, many platform coops are inclined to focus on shared value(s) rather than the creation of value. But when you aim to attract funding of any kind, or intend to collaborate with cities or community-based organizations, the three most crucial questions to answer clearly are: (1) what need does your platform coop serve? 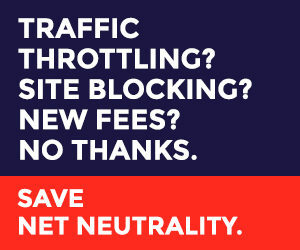 ; (2) how does it serve this need better than competing platforms? ; and (3) what concrete value does it add – and for whom? Such rethinking is urgent and both volumes will provide the reader with abundant food for thought to propel this process.